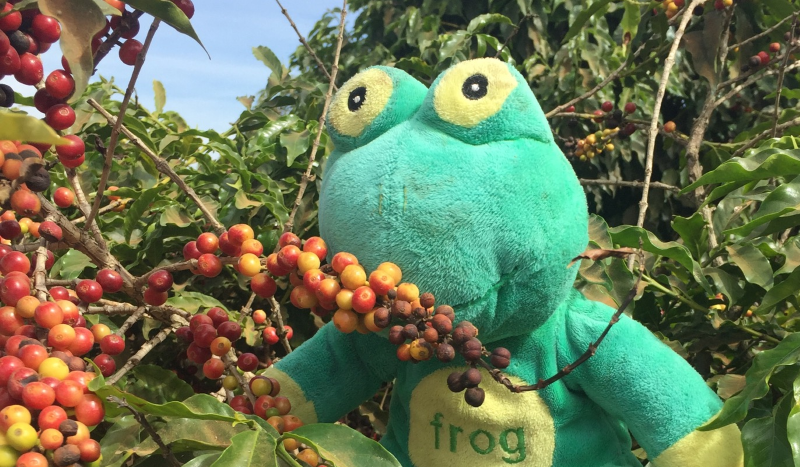 While sharing all the info on the Brazilian coffee farms I started realizing it may be a good idea to post a general post on how specialty coffee works in the Brazil. All of this below is according to what I gathered from conversations we had while traveling many kilometers in the two days we visited. Topics like where it come from and how does a country that is so mechanized product specialty grade coffees? Shade or not shade grown? 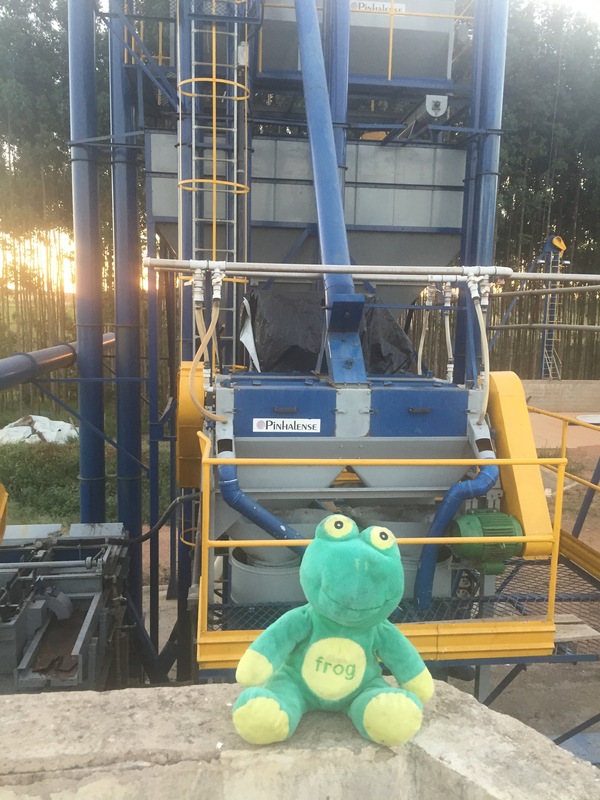 Frog Quaffer sitting in front of one for the mechanical separator at Montanari farm São Paulo. At this point the coffee is dried using either patios or raised beds. Raised beds are becoming more and more dominant, since the producers are happy with the results. Weather on patio or raised beds they are tossed regularly. 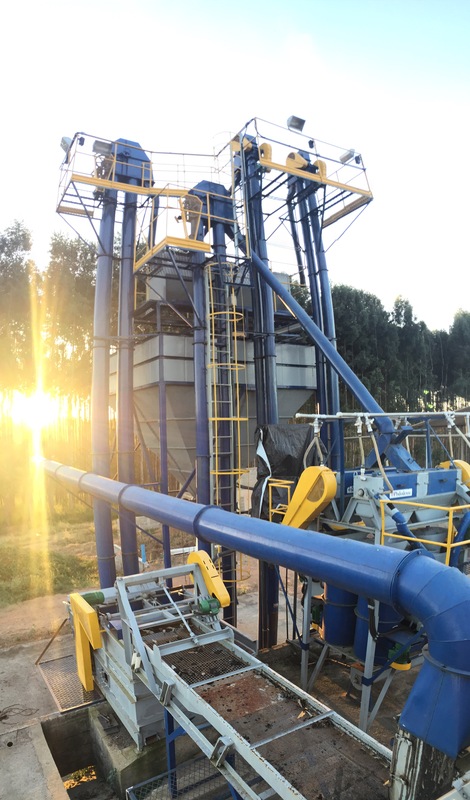 If it should rain during this process the lots are separated and normally sold to the local market. The samples and the notes taken on the sample at Expocaccer. They also cup these and if they find something interesting investigate further. We have covered what happens to the coffee once it goes to the co-operative we visited. So you can read more under that section. This makes a lot of sense in Brazil. Based on socialist principles having societies run by the farmers (or co-operatives) is the way that bests suits the Brazilian culture. And it works for them. They also are the largest producer of coffee, so it is working for the rest of the world too. If co-operatives like Expocaccer are then separating the coffees first on screen, then cupping score (for screen 17 and 18 only) and then paying extra for quality and certification this system is a way to get specialty grade coffee en mass to the world. 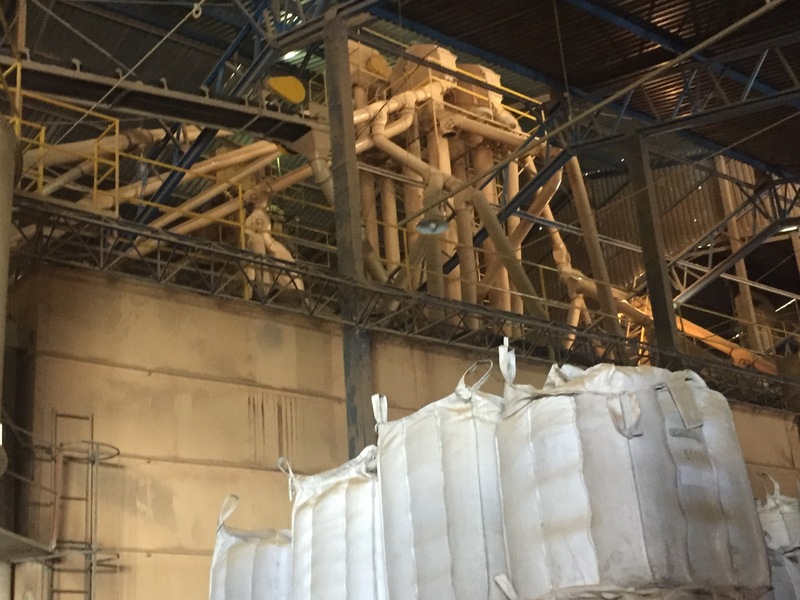 Expocaccer are working hard to maintain their 30% aim of production being specialty grade. But there are other co-operative that do not they bulk blend the coffees and ship them as per screen size and certification only. The largest co-operative in Brazil does just that. And that co-operative is responsible for more coffee than many large coffee growing countries produce. With initiative like the BSA that allow full traceability back to source. Only applicable for coffees that have good cupping scores. 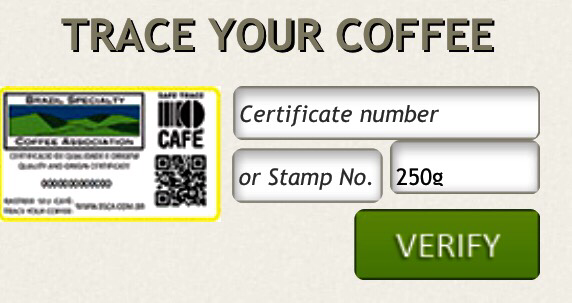 Probably the best way quality coffee can be identified in the largest producing country. With no real highlands and very few almost no small producers. To rely on a sample size and mechanical processes to identify the coffees, then one cup the ones that are the largest is an efficient way to achieve what they have.